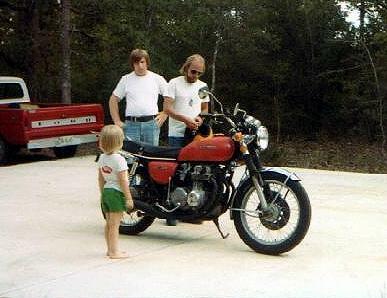 After the 305 came this 500cc Honda Four. A little more top end, a lot safer (if the word can be applied to a motorcycle), and just a tad thirsty: I averaged 28MPG (about what I get with my 3 liter V6 now). This served as my "reliable transportation" during the time when my 4-wheeled vehicle was a VW Scirocco.